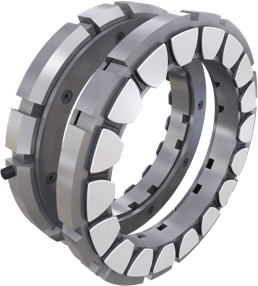 The Michell Omega Series is a range of non-equalised thrust bearing internals. 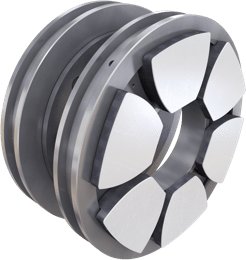 The philosophy of the Omega series involves offering various thrust pad sizes in different combinations to allow the most appropriate thrust bearing to be selected for the application. 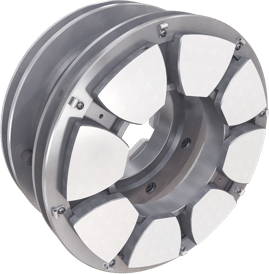 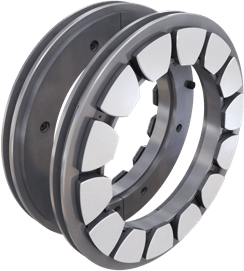 25 individual sizes of thrust pads with 6, 8, 11, 14 or 18 thrust pads per set. 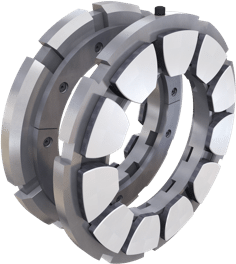 Range allows the most suitably sized thrust bearing to be selected for the application.